A combination of electric-powered actuator (motor) and additional reducer on the valve reducer controls valve operation. 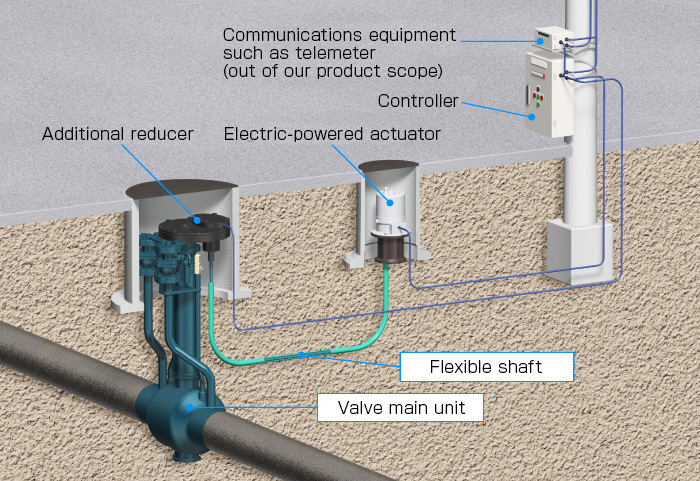 The additional reducer and the electric-powered actuators are connected by a flexible shaft (a metallic shaft with flexibility). 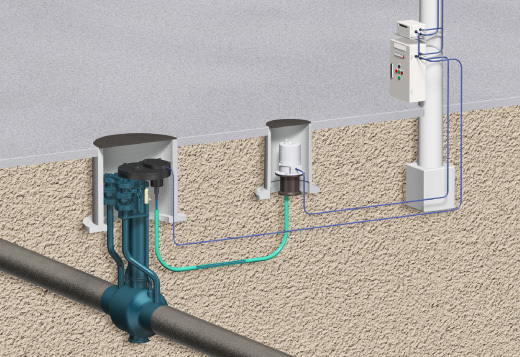 Connecting external communications equipment with the controller enables remote operation. The Japan Gas Association, Buyo Gas Co., Ltd., Narashino City Gas & Water Bureau, and Otaki Gas Co., Ltd.
Specification of this product is subject to change without prior notice.